Bandai Namco and Level-5 released a 30-minute gameplay video for Ni no Kuni II: Revenant Kingdom today that showcases the entire E3 2017 demo that participants were able to enjoy on the show floor. While snippets of this were already shown in a previously-released video, Bandai Namco spent the game giving some insight into the game itself, particularly the circumstances of the world and the characters that inhabit it. 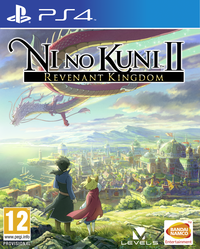 Ni no Kuni II: Revenant Kingdom is set to be released for the PlayStation 4 and PC in North America and Europe on January 19. For more details, check out our hands-on impressions of that same E3 2017 demo.